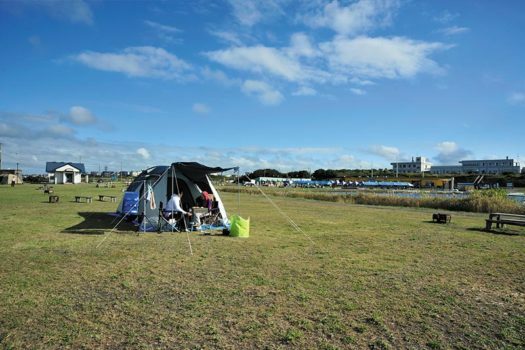 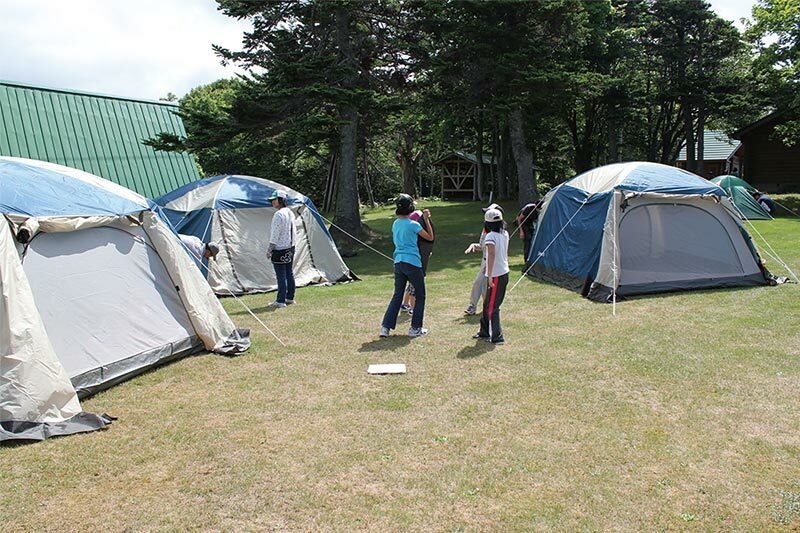 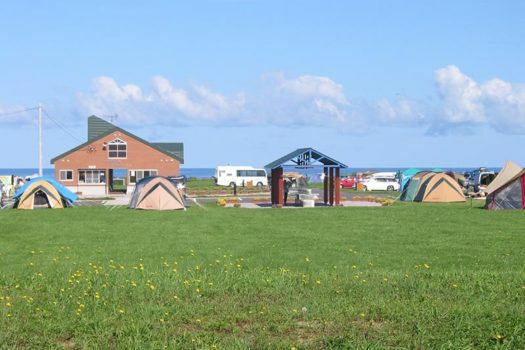 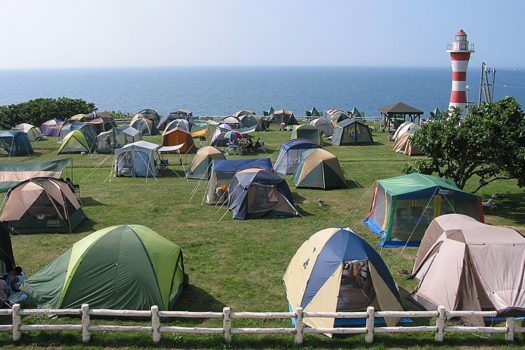 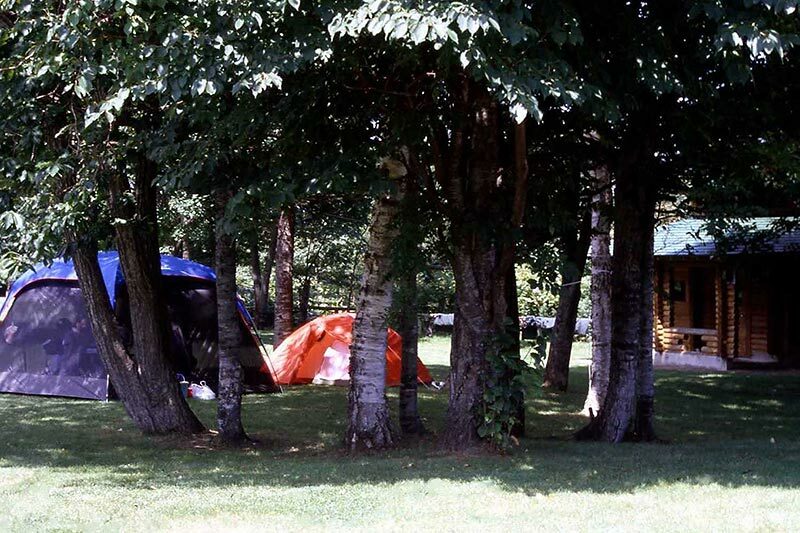 Campgrounds become the base for more than just fishing; many of the camping areas in the Rumoi area are located adjacent to additional facilities such as park-golf courses and/or hot springs, so you can relax after a day of playing hard. And don’t forget, a campground is the best place to take in the beautiful sunsets of this region. 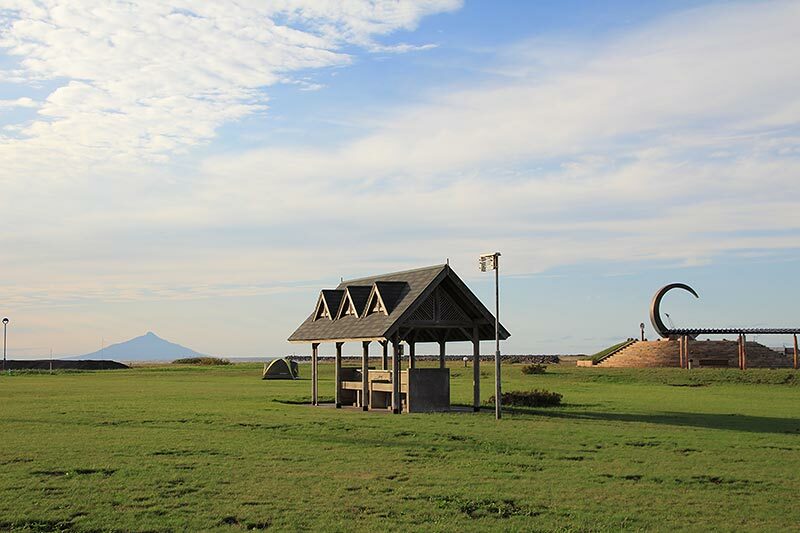 A good place to view Mt. Rishiri, located near Teshio hotspring Yuubae. 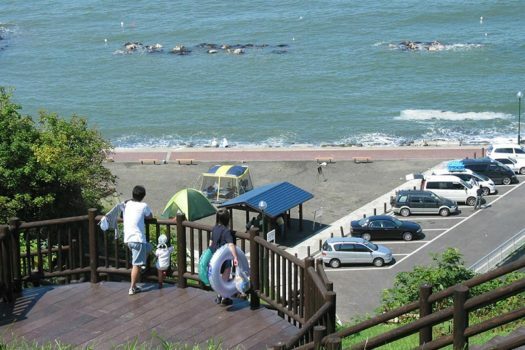 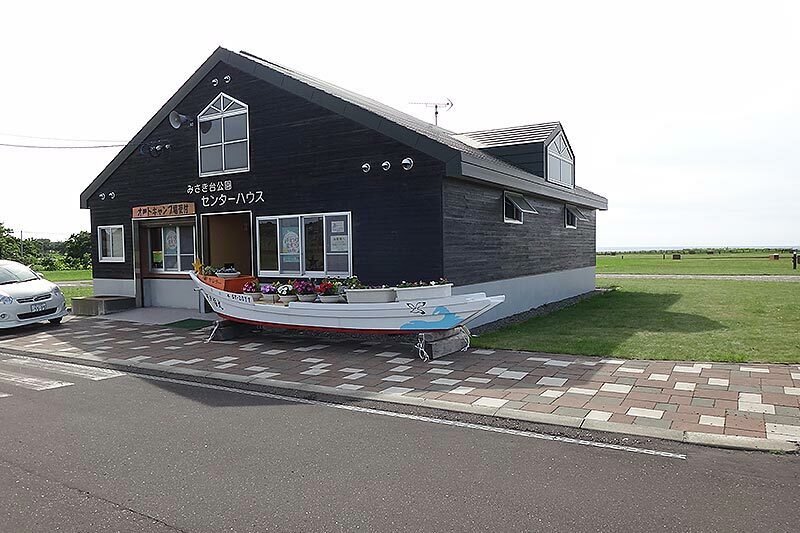 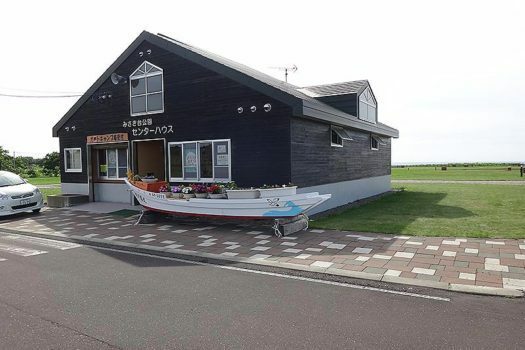 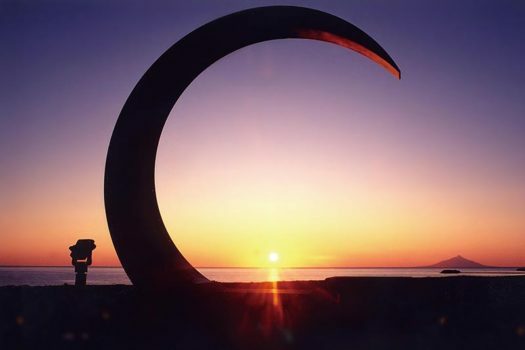 Located at the mouth of the Embetsu River, across the road from the nearby beach. 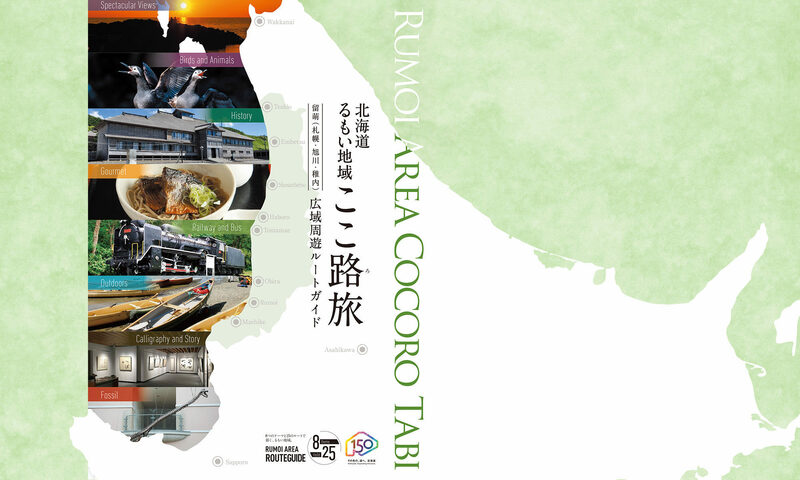 Located near highway rest stop Fujimi and a park golf course. The campsite here is spacious and the hot spring is within walking distance. 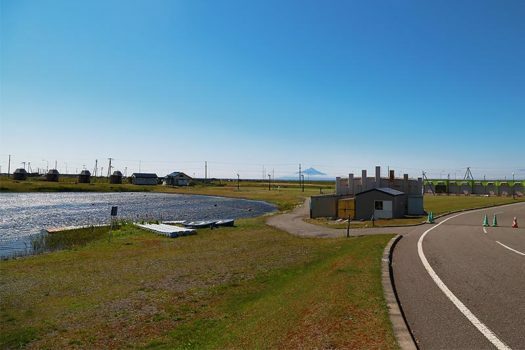 The roadside rest area, hot spring and astronomical observatory are all close by.